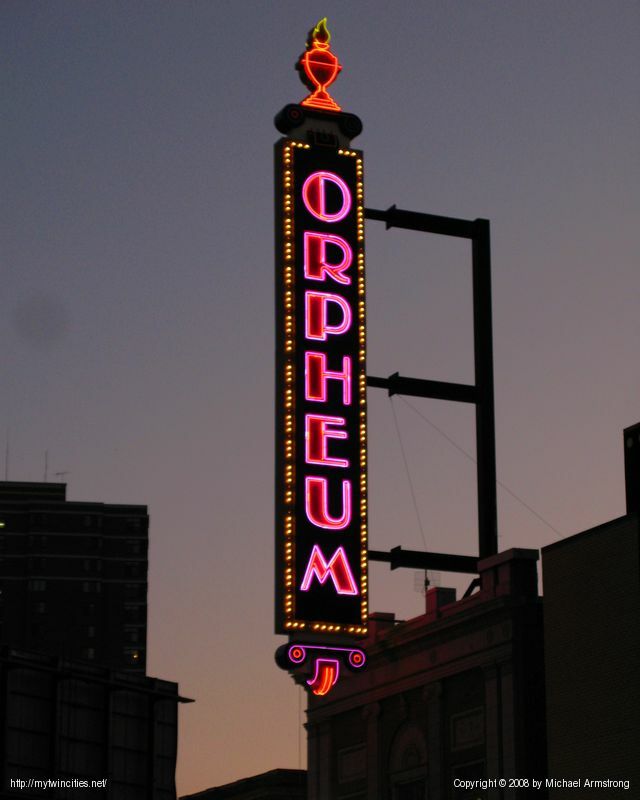 A great place to see concerts in town, the Orpheum Theater is part of the Hennepin Theater District. This grand old neon sign has been around as long as I can remember, but the history seems to indicate the sign was restored in around 1993-1994 when the theater was restored. I've been seeing shows there for many years before that. Originally opened as a vaudeville stage in the 1921, it's changed much over the years.